Almost all people wear jeans. 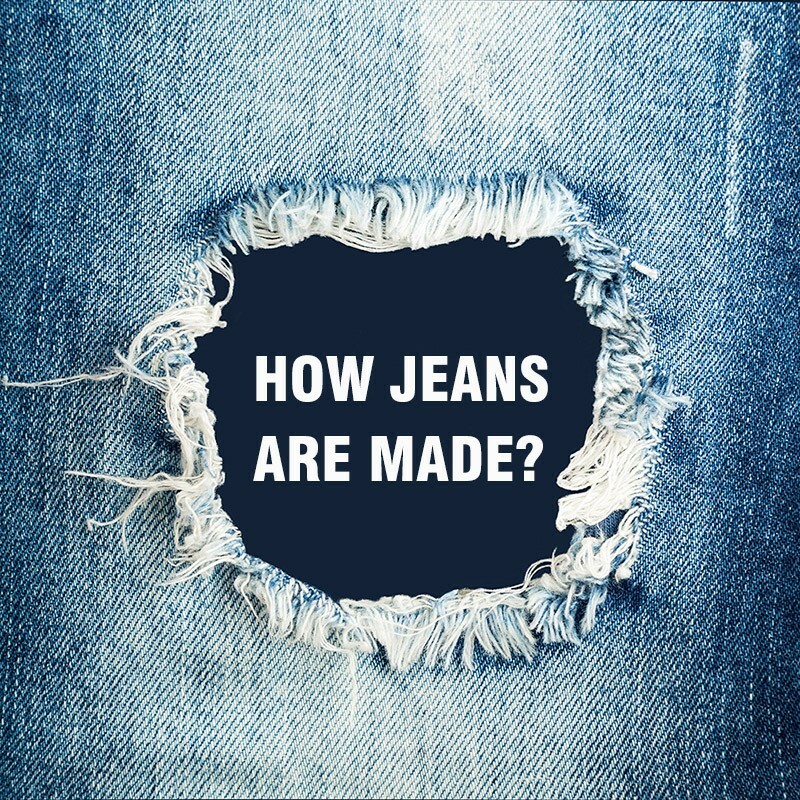 But only fewer people know how jeans are made. My topic today is how a pair of jeans are made. I will tell you briefly by 4 steps. If you are looking for a jeans manufactuer, we are the one for you. For defferent styles, we might use defferent fabric, as to give a perfect outlook and comfort to the designs. And truthly, fabric weigh a lot in the total cost. You will get defferent price by choosing defferient fabrics. Here I list some regular options of jeans fabric: None stretch denim 100% Cotton, None stretch denim 75% cotton 25% polyester, Cotton stretch fabric 98% cotton 2% spandex, Cotton polyester stretch 65% cotton 33% polyester 2% spandex, TR Stretch fabric 76% cotton 11% rayon 11% polyester 2% spandex. etc. After buying material, they will be sent to our jeans factory. We will cut the fabric according to customer's size and ratio. A good quality jeans should be sewed with at least 8 neadles in an inch. This is the last step in jeans production line. Jeans will be sent to packing center after washing. We will do the ending work here. Such as Cutting threads, Ironing, puting accessories. Before packing each jeans into a poly bag our QC staff will check the goods carefully. Previous page : How to find good jeans wholesalers on line?